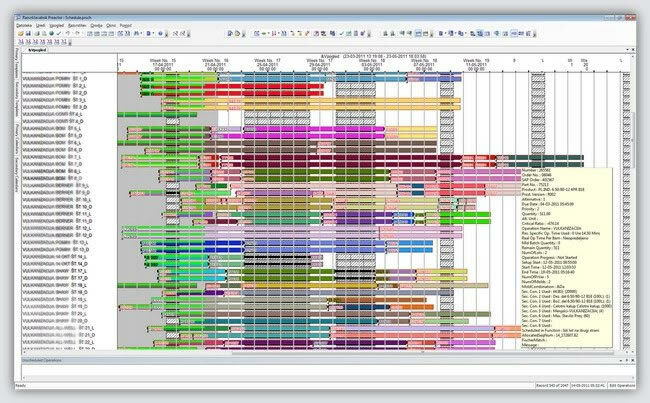 Preactor is known world-wide to be the most adaptable planning and classification software on the market. The fields and data tables in its Microsoft® SQL 2005 (or later) database can be added or modified. Unique rules for classification can be specified. For a close integration of decentralized systems, communication scripts can be defined for certain scenarios. Preactor’s flexibility is unprecedented. Several configuration methods are available. Usually, only one main classification system is available to all users. This system communicates with one or more Preactor Viewers or uses Preactor Web Publisher to publish the classification information. Some companies use multiple licenses within one or more departments, units or plants, with automated data transmission from one system to another. Preactor provides these and many other solutions, even before you make a big decision! Over 150 case studies testify of Preactors value for companies. The case studies describe, how those companies became more competitive and successful with the use of Preactor’s features. The gained advantage often provides bigger revenue in weeks, sometimes even in days! It has been proven, that the advantages refrain year after year. 15 – 20% increased production – make more of what you already have! Preactor is not a single solution. It is a family of products which use the same core code, but have different levels of functionality and price. This enables you to choose a system, which perfectly fits your needs. If necessary, the system can be upgraded at any time.